StakeLogic will reveal a music-based slot game at ICE 2018 – the new title Hardwell featuring the world renowned and resident Las Vegas DJ Hardwell, who will make a special appearance on the Interactive area of the NOVOMATIC stand S5/S6 for the game launch on February 7. StakeLogic, a wholly-owned subsidiary of Greentube and part of NOVOMATIC Interactive, is launching its branded online slot game – Hardwell – at ICE. The acclaimed DJ will premiere the entertaining new slot title on Wednesday at 1:30pm for a spin of the turntables and a spin of the reels. In the evening, the celebrations will continue with an exclusive launch party at the O2 Arena for invite-only guests. DJ Hardwell, born in Breda, the Netherlands, as Robbert van de Corput was voted the world’s number one DJ in 2013 and 2014 and has built an outstanding reputation as a DJ, remixer, producer and record label owner over the years. 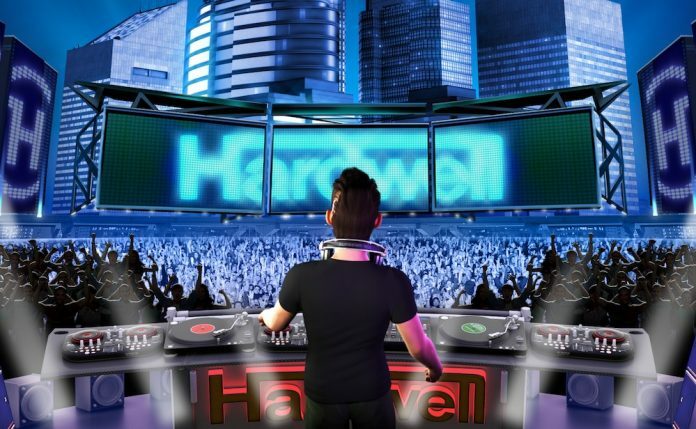 Just like a highly entertaining and immersive Hardwell set, the game features great fun across 5 reels and 25 lines. With original music and colourful reels packed with DJ gear and neon fruit symbols, players should get ready for cool bonus features and some big wins. Exciting features are available like bonus symbols that award bonus spins with special reel upgrades, plus a very special super spin that features lock and spin action on the reels with guaranteed wins.